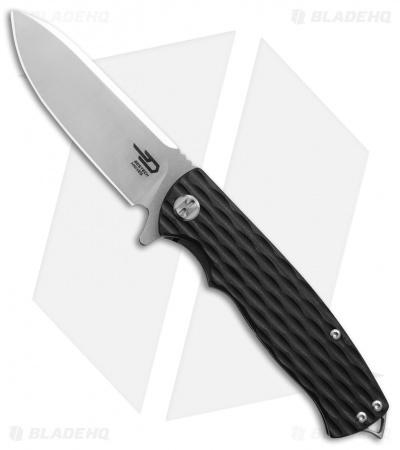 This Grampus folding knife has a black G-10 handle and a satin finished drop point blade. 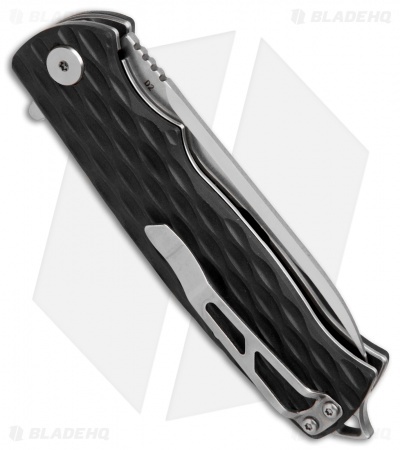 Take your EDC to the next level with the Grampus liner lock folding knife. It offers a textured G-10 handle for a sure grip in difficult conditions. The high performance blade is made from D2 steel with a flat grind for a versatile range of cutting applications. Item includes an extended backspacer/striker with a lanyard loop. 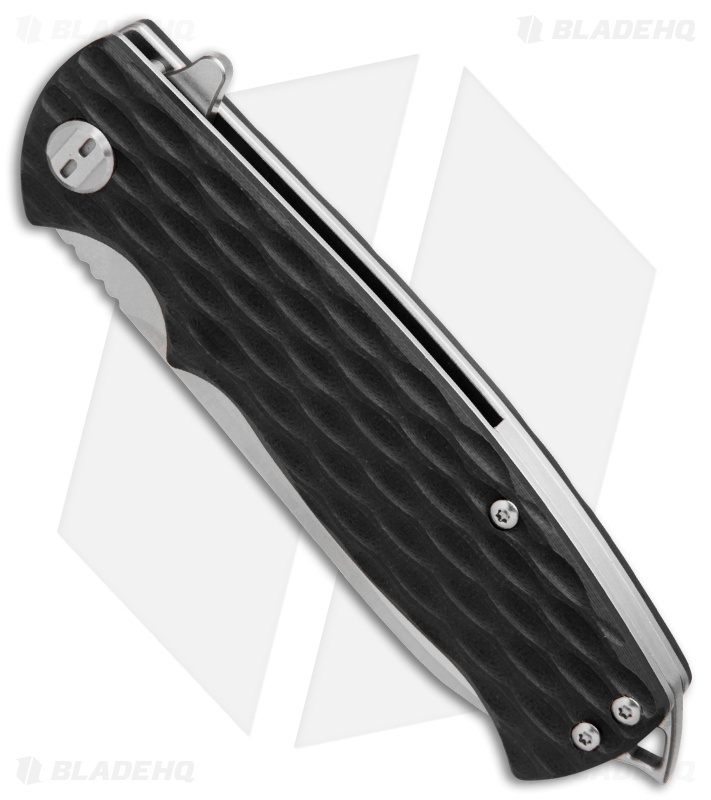 Textured G-10 handle scales provide a secure, comfortable grip. Handle is outfitted with a lanyard loop/striker and a tip-up pocket clip.